Looking to get into an exclusive closed VR beta for your HTC Vive or Oculus Rift? Who isn't? Being in a closed beta means that you, 1) get to try out a game before anyone else can, giving you bragging rights to all your friends, and 2) provide crucial feedback to the developers to make sure the game is in tip-top shape when it finally releases to the public. It's a win-win, really. We've got 10 Steam keys to give out for you to test out the upcoming virtual reality shooter Zero Killed. Enter below for your chance to join in on the fun -- and that's an order! Zero Killed is a military tactical virtual reality shooter for the HTC Vive and Oculus Rift platforms. In a world where the hunt for a rare material causes chaos in the streets, it's up to your platoon of specialized soldiers to keep order in the face of paramilitary war. In this four-on-four shooter, you'll have to use teamwork and implement cunning strategy to take out the other team and achieve your mission. For your chance to get in on the closed beta, comment below with your unique character and their special perk. Mine, Sergeant Tomás Barrucudula, has the amazing ability to soak up bullets using only his entire body, only to have them removed by a doctor at a later date. He was nicknamed "The Human Shield" back in high school, a badge he still wears proudly to this day. Our 10 Steam winners will be drawn on Monday, September 17. This is a VR game, so it's probably best if you have the setup required to play it. Make sure you comment using a Dtoid account with your current email address on file. I'll need to be able to pinpoint your coordinates (your email address) and can't do so if your profile isn't up to date. 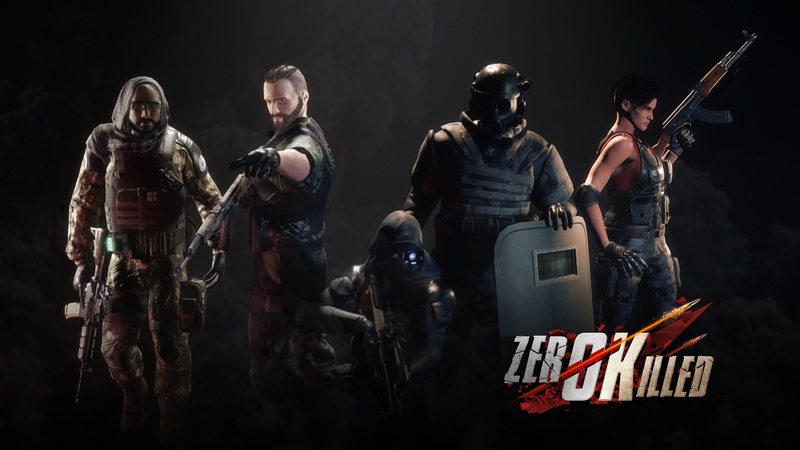 The closed beta for Zero Killed will begin on September 17, with the full launch expected for September 26. You can pre-order now on Steam.